Our most popular range of buoyancy aids for recreational paddling and multi-purpose watersports PFDs. Generally, general purpose buoyancy aids cost less than Sea Kayaking Buoyancy Aids and White Water buoyancy aids as they are simpler in design and performance. 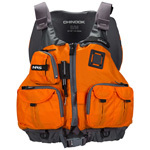 The NRS Chinook provides even more storage than the CVest and Clearwater. With plenty of pockets and attachement points perfect for kayak anglers and sea kayakers along with it's mesh back. 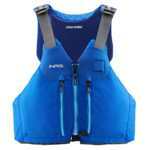 Minimalistic, low profile fitting PFD for maximum comfort and manoeuvrability. One of the most comfortable BA's availabe today for Sea Kayaking and Touring. The NRS Cleatrwater is a comfortable and cool PFD due to the mesh low back, pockets for storage and a paddler's cut for optimal range of motion. A great PFD for any high back seat. 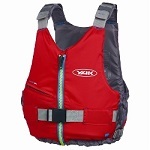 The Yak Kallista is a stylish and functional recreational buoyancy aid that provides an excellent fit and floatation for recreational kayaking and canoeing, groups/hire, sit-on-tops, sailing and kayak fishing. A entry level buoyancy aid. Designed for multi watersport use, available in adult and junior sizes. 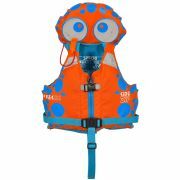 A modern and stylish, inexpensive permenent buoyancy lifejacket designed for children. Soft flexible PVC closed cell buoyancy, 40mm waist belt, crotch straps and collar. This lifejacket is designed to float a child on its back and support the head. The front buoyancy panels are of different thickness, this helps to rotate the child onto its back bringing the airway out of the water. The crotch straps prevent the child slipping out of the lifejacket. A simple cat, dog, pet life jacket device (buoyancy aid) that is available in 4 sizes. 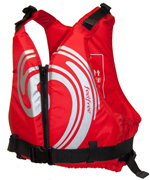 This pet lifejacket also includes a harness and will suit a number of different pets. Measurement taken from Collar to base of tail. 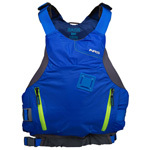 If you are looking for a PFD not listed, checkout our range of brands for buoyancy aids available by mail order.